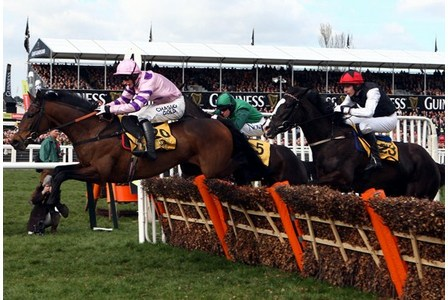 The Cheltenham Festival is the pinnacle of the jump racing season & many punters betting highlight of the year with fortunes won & lost over the course of four days of top class, competitive action between the best hurdlers & chasers from Britain & Ireland, we'll be covering the action for every day looking for value to give you an edge over the bookies. The Tuesday tends to be a real favourite day here at Like Buying Money Towers with arguably the two best novices races in the Supreme Novices Hurdle & the Arkle & then the Champion Hurdle later, it can become a bigger favourite if we can start off with some nice winners! If you aren't already you can follow us on Twitter @LikeBuyingMoney by clicking the follow button above & keep up to date from the news throughout the festival. The big race of the day is the Champion Hurdle & Hurricane Fly is a warm order to follow up his impressive win in 2011 & make it 12 wins from 13 runs over hurdles, as impressive as 'The Fly' has been there are still reasons to oppose at the prices available & we think we've got one to beat him. Hurricane Fly is a smooth traveller in his races & that complements jockey Ruby Walsh's style but when you look back through his form, other than in the Champion Hurdle last year, it is clear that wins against top quality opposition are thin on the ground. 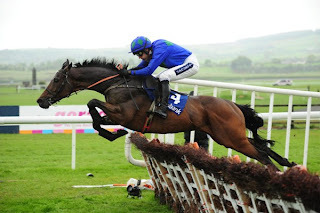 None of the horses that Hurricane Fly beat as a novice have gone on to become top notch hurdlers, after coming 3rd to the useful, but no more than that, Solwhit on his first foray out of novice company he then beat that rival 4 times in a row with one of today's rivals, the limited Thousand Stars also in behind 3 of those times. It's arguable that last year's Champion Hurdle was great as several of those in behind have gone chasing or stepped up in distance this season including the runner up Peddler's Cross. Ok we know that a horse can only beat what's in front of it but the crop over the last couple of seasons really doesn't seem to have the strength of a few years back when the likes of Hardy Eustace, Brave Inca & Macs Joy amongst others were battling out all the best races. It looks to us like the younger generation can come & provide a real challenge here to the last two winners of the race as we also have the similarly smooth travelling 2010 Champion Binocular in attendance, when Binocular's on his game he can look spectacular but there's always a suspicion that he's looking better than he really is & we were surprised, & impressed, by the battling win against Rock On Ruby at Kempton in the Christmas Hurdle as we expected Binocular to fold under pressure. With two similar types at the top of the market our interest lies with last year's Triumph winner Zarkandar, Paul Nicholls gelding is a brother to the outstanding Arc winner Zakava & is unbeaten over hurdles in four tries, winning the Grade 2 Adonis on debut, then Grade Ones before making a comeback after 10 months out to show his outstanding grit & stamina to win a hugely competitive handicap in the Grade 3 Betfair Hurdle at Newbury. The Triumph form has stood up excellently with just about everything in the race winning since & some good races at that & Zarkandar looks the best of them with the requisite class to compete at the highest level but also the stamina that could prove crucial up the Cheltenham hill. This race will almost certainly be run to suit as Paul Nicholls has 3 other runners in the race & they will surely set this up for Zarkandar's finishing thrust, similarly to Big Bucks, Zarkandar has seemed to hit flat spots, both here last year & at Newbury last time but once the finishing line is in sight we expect him to eat up the ground like before & get up to leave his rivals trailing & become one of the great 5 year old winners like See You Then or Night Nurse, at odds of 7/1 Zarkandar can be the winner. We also think that th ultra consistent Rock On Ruby is now at the right distance after being just touched off as a novice over 2m 4f by Bob's Worth & then First Lieutenant at Cheltenham last season, he won the Gerry Feilden Hurdle impressively before being beaten by just a neck by Binocular on Boxing Day & should still be improving. With the improvement we'd expect from Rock On Ruby there's every chance a place may be available & with us being keen on Zarkandar a small bet on the straight forecast Zarkandar to beat Rock On Ruby could offer a large payout. 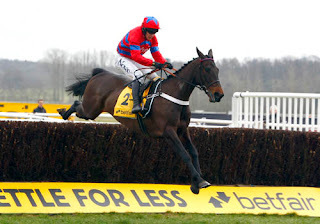 A favourite we do like the look of is the excellent Sprinter Sacre in the Arkle, a horse that many shrewd judges have picked as their banker of the festival & looks to us as being worth his short price at a shade of odds on as he'd surely be a serious contender for the Champion Chase if trainer Nicky Henderson had decided to send him there as a novice. Sprinter Sacre was a top notch novice hurdler & finished 3rd in the Supreme last year behind his biggest rival here Al Ferof, but he was always going to make a better chaser & that goes some way to explaining why Barry Geraghty was on stablemate Spirit Son that day, he now reckons that this may be the best two mile chaser he's ridden & he was Moscow Flyer's regular jockey! On just his second chase Sprinter Sacre slammed Peddlers Cross & has forced that rival to swerve this & go for the Jewson instead & last time out he beat older horses with consumate ease in the Game Spirit at Newbury, a race that has been won by numerous Champion Chasers including Azertyuiop & Master Minded. He's yet to make a single jumping error at his fences & has been spectacular at times but the same couldn't be said of 4th favourite Menorah who has failed to complete in two of five chases & whose only wins have come in three runner races at Taunton & Newbury. Cue Card was a hot favourite in the Supreme Novices last year but only trailed in 4th behind Al Ferof & Sprinter Sacre & has been raced only over further than this since, he's high class but it remains to be seen whether his jumping will hold up at what is likely to be a frenetic pace. Al Ferof is the main danger & warrants respect as this is a horse with Grade One & Two novice chase wins & an impressive 3rd in the Grade One Victor Chandler Chase against top class older horses, finishing close up behind Somersby & Finians Rainbow & showing form that would be more than good enough to win an Arkle normally but maybe not this year. Another worry with Al Ferof is that connections think this trip may be on the short side & they plan to step up to 3 miles next year with the King George a distinct possibility. With already excellent form, awesome jumping & doubts about his rivals Sprinter Sacre really does look the proverbial Festival Banker & should be backed at 10/11.